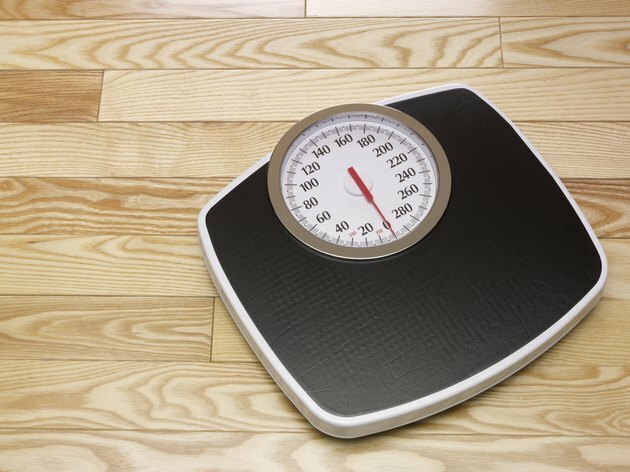 It is no secret that altering your diet can affect the rate at which you lose weight. Many of the local foods of Nigeria can be used to encourage weight loss. A study conducted by the Loyola University Health System and published in "Obesity" in September 2008 revealed that the average rural Nigerian woman weighed 55 pounds less than the average African-American Chicago woman, despite the fact that both parties burned roughly the same amount of calories daily. Researchers speculated that this is because most Nigerian foods are made from unprocessed ingredients. Eating a healthy meal does not guarantee that you'll lose weight. You can still gain weight if your healthy meal is high in calories. To avoid this, MayoClinic.com advises that people reduce the size of their servings. When you visit a Nigerian restaurant, do not eat everything that is served. Instead eat a little and have the rest packed for later. Fruits like mango, watermelon and papaya are common in Nigeria and are a significant part of the local menu. Adding this to your diet will provide your body with many of the essential vitamins and minerals it needs. These fruits are also good sources of fiber, which will regulate your digestive system. The Nigerian diet is heavy on carbs. High-calorie ingredients such as yam, cassava and plantain are staples of many Nigerian foods such as amala, akpu, tuwo iyan, pounded yam and garri. The Nigerian stew and soup is also prepared with a heavy helping of palm oil, which has a high calorie value. Avoid eating large meals. Instead eat smaller portions. Nigerian foods such as beans, cowpeas and moi-moi are good choices for weight loss. They contain high amounts of protein and are made entirely from unprocessed ingredients. Other good choices include vegetables such as ugwu, egusi, ewedu, elubo, utazi leaves and ogbono.